A short story by Anita Kawatra (SM '88) appears in a wickedly amusing collection of shorts about dates the authors moms set up for them. 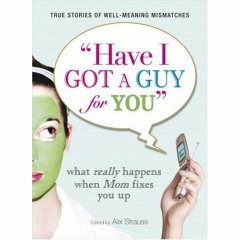 The anthology is called, Have I Got a Guy for You, and they're all unbelievably true. And come to the reading on May 8!